OLD PARKED CARS. : 1980 Datsun 280zx 10th Anniversary Special Edition...Black Gold. 1980 Datsun 280zx 10th Anniversary Special Edition...Black Gold. They should've filmed both of them in designer jeans. Jordache/Sasson/to many to list. Nice composition in the second shot. I recall the front end being longer and less well proportioned. It looks like it has the T-top roof. So awesome. 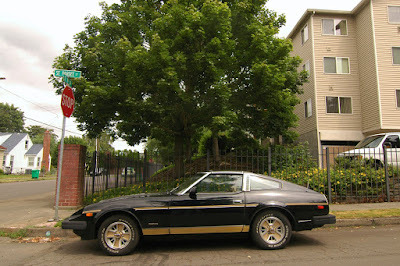 Reminds me of the "Smokey & the Bandit" Trans Am. They were going after the same market in almost the same way. Black Gold...with a Texas T top?? Dad had one. Nice car.Same color and everything. Also a silver one (also turbo, automatic) and it had horrible fixed (no head rest) seats. 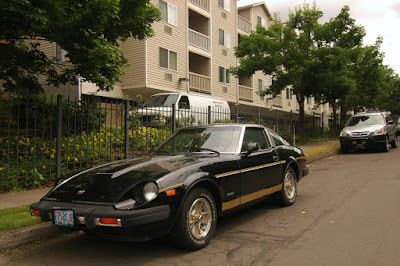 Man that is one gorgeous Z-car, love the reverse Gold-N-Black. My uncle's got an entire lockup full of Z-cars in various states of "I'll get to them one day." The 1980 Black-Gold was a gold body with a black hood and roof and special badging. 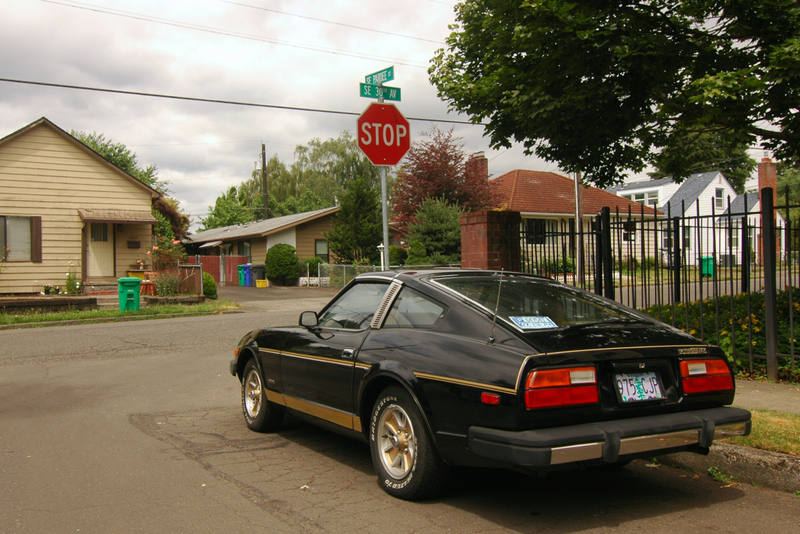 That's a nice vintage ZX but not a 10th anniversary edition.